Girish Rava l, Director, AIMEX Focus Ltd, an expert in international trade and negotiations with more than 40 years of experience in export/ import of fabrics, leather goods and drinks. He worked for the government in Nairobi, Kenya, for 12 years before turning to business. He has strong history of connectivity with East, Southern and West African public and private sectors. He is a founding member of the Kenya Society for the last 28 years. He was extensively involved in the development of FAATIS concept – Annual African Tourism Investment Summit with the World Bank Group/IMF Africa Club and other groups in Washington DC, UK and Africa. He was the director of finance during the period and helped to negotiate sponsorships with airlines and some big companies. He led delegations to East and Central Africa to discuss with the ministries of tourism their role in FAATIS . 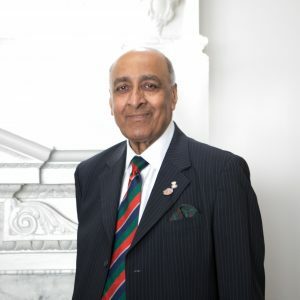 He served a couple of times as President of Rotary Club of Westminster West District 1130 and continues to support charitable deeds to various African and Asian communities on the continents where possible.